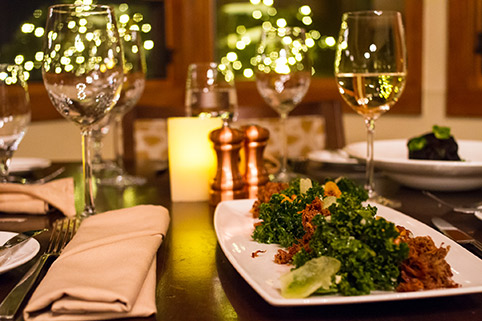 The Bighorn Bistro offers an outstanding steakhouse dining experience in a casual setting. Located in the Keystone Lodge & Spa adjacent to the Keystone Lake. The Bighorn Steakhouse is proud to serve only the finest cuts of corn-fed American beef. Additionally, a wide selection of appetizers, wild game, fresh sustainable seafood, chicken and other specialty entrees are available to tempt your palette. 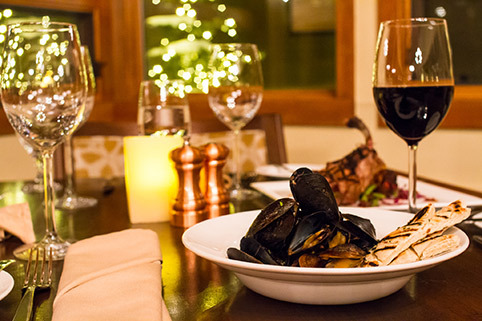 With breathtaking views of Keystone Lake and the Continental Divide, the Bighorn offers an outstanding steakhouse dining experience in a casual setting. Offering a wine list recognized by Wine Spectator complimented by a team of seven sommeliers ready to recommend exciting vintages.